“Immunology” and “vaccines” are terms inevitably connected with the name of Edward Jenner, a country doctor from Berkley (UK), who submitted back in 1796 a report on 13 cases of protection against small pox infection through inoculation with cowpox. Since then vaccination has become the most efficient strategy to protect humans and livestock from infectious diseases. With exception of Japan, intramuscular injection serves as a standard vaccination route. Besides its easy accessibility, skeletal muscle presents several unique properties marking this tissue an ideal theater for vaccination. 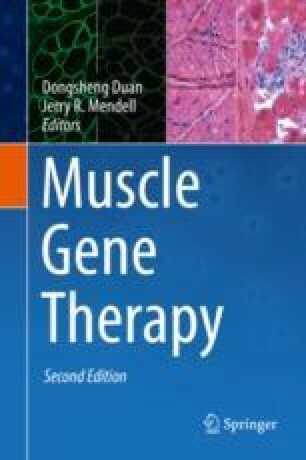 Muscle cells or more specifically myofibers act as unconventional antigen-presenting cells (APCs) supporting the activity of conventional APCs (e.g., dendritic cells (DCs)) rapidly recruited to the site of “damage.” Depending on the vaccine, humoral and/or cytotoxic T cell responses are elicited. Moreover, unique control circuits involving hormone regulation and unconventional co-stimulatory molecules as well as muscle resident stem cells permit balanced immune responses and tissue integrity. The plasticity of this tissue regarding recruitment and regulation of immune cells as well as its regenerative capacity holds promise for the advent of new sophisticated vaccination strategies for targets that so far “escaped” from vaccine-mediated protection or treatment.